Renting a deep cleaning machine is an easy and affordable way to keep odors and deep down stains out of your carpet and your home. But if you’re still looking for the best carpet cleaner on the market, look no further than a BISSELL Big Green Deep Cleaning Machine®. But it’s easy for us to just tell you how great BISSELL carpet cleaners are, but that’s no fun! We’d much rather show you. Because when you compare BISSELL to the leading competitor, it becomes clear just what sets them apart. With BISSELL water tanks, there’s no muss or fuss. The­y’re self contained & removable. Simply lift them up, out, and you’re ready to go! Plus, the cap doubles as a measuring device so you can easily ensure that you’re using the correct amount. The Big Green Deep Cleaning Machine® can help you double your cleaning efforts by cleaning both forwards and backwards. The competition only cleans in the pull direction. So when you use BISSELL, you can get the job done faster! For a full range of accessible cleaning, the BISSELL steam cleaner also provides accessories and attachments so it can do double duty as an upholstery cleaning machine. Whatever your height, the cleaning process is comfortable with the BISSELL Big Green Deep Cleaning Machine®. Since the handle adjusts easily and pivots at the base for maximum stability. 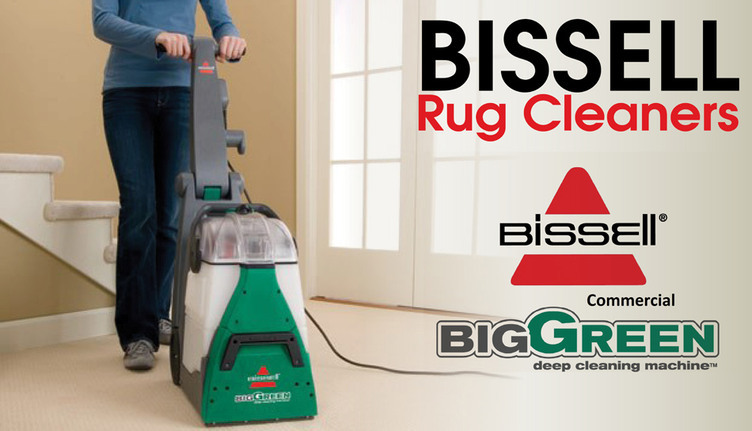 With a BISSELL Big Green Deep Cleaning Machine® you are using less water which means that your carpet dries faster! So you can get back to enjoying life and not policing traffic on your freshly cleaned carpet and upholstery. BISSELL formulas are recognized by the EPA/Safer Choice for dedication to designing products that are safe for you, your family & the environment. The competition has no such sustainable certification. We know that the BISSELL Big Green Deep Cleaning Machine® works best when paired with BISSELL products, so they have created an entire line of cleaning formulas and stain removers to maximize your deep cleaning rental experience. BISSELL has been in the cleaning business since 1876 so when you rent a BISSELL for all your deep cleaning needs, you’ve got decades of experience on your side. A full staff of consumer care representatives from BISSELL & Rocky’s Ace Hardware are waiting to answer all of your questions about deep cleaning and the deep cleaning rental process. Or you could visit BISSELL online for immediate answers. 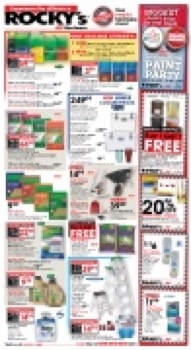 For your convenience, Rocky’s offers various timeframes for renting a BISSELL. Choose a 24 hour rental period for smaller projects or 48 hours for bigger projects. Review: BISSELL Big Green Deep Cleaning Machine® vs. the competitor. Easy to remove water tanks with a measuring cap. The ability to clean forward and backward. A handle that adjusts to any height. A carpet cleaner that uses less water. EPA Design for the Environment Certified Cleaning Formulas. A machine that quickly dries your carpets. A water tank that that requires lifting the entire machine to empty dirty water. A machine that cleans only in the pull direction. A handle with no height adjustment. A machine that needs a defoamer. So who is the winner? It’s clear with a BISSELL rental you get much more than a deep clean. You get peace of mind, ease-of-use and quality. Ready to test the BISSELL Big Green Carpet Cleaner for yourself? Save Time Online BISSELL offers their rental agreement form online. Download it, fill it out, print it off and bring it to the Rocky’s Customer Care counter. Have Other Questions about Renting a Carpet Cleaner? Check out our FAQs on Renting A Carpet Cleaner.